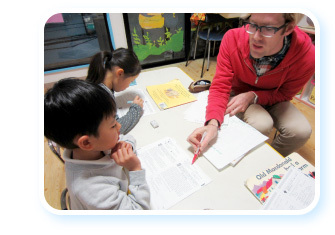 Day care and English instruction under the guidance of both one native English teacher and one Japanese teacher. From age 18 months, your child can enjoy school life along with the teacher and friends, learning to be independent and autonomous in this early developmental stage. Class observation days and parent-teacher meetings are held in June and February. 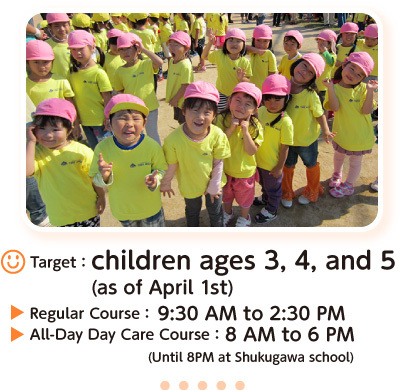 Day care and English instruction under the guidance of both one native English teacher and one Japanese teacher per class (depending on the number of students, one Japanese teacher may be assigned 2 classes). Our kindergarten activities follow the "Kindergarten Instructional Procedures" as outlined by the ministry of education. 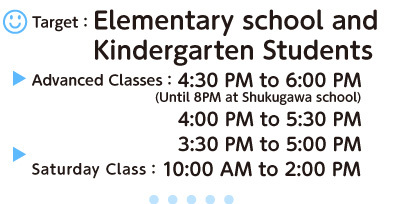 Class observation days and parent-teacher meetings are also held in June and February.